I Would like to thank I am a Reader, Not a Writer and Reading Teen for hosting this Young Adult Giveaway Hop. I just love reading these books!! 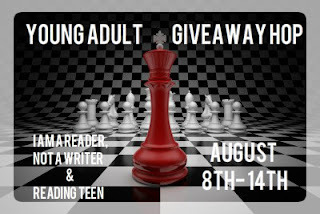 For My Giveaway, I am offering Ember by Madison Daniel and some swag for US only, and ALSO and ebook of Ember and swag for International followers. I LOVED THIS BOOK!! And I am sure you will too!! Ember is the story of Max Valentine, a teenager with secret abilities and many inner demons. His life revolves around music and his love for it. When his father dies he seeks answers with his last living relative, his fathers brother Frank. Frank lives on the island of Maui and eagerly takes Max in as his own. Max soon learns that healing his past will be more difficult than he could have ever believed. Two major complications will tempt and torment him as he tries to make sense of his abilities. The first temptation comes in the form of a mysterious island girl. Asia Lyn Michaels is rich, spoiled, angry and beautiful. Her path crosses with Max on the beach one afternoon, forever changing both of their lives. Max saves her life and she discovers his secret. From that moment on they are connected, no matter how much they fight it. The second temptation will test Max’s very soul. Samantha Ann Summers is sweet, artistic, smart and confident. She will help Max find his smile again and maybe even heal his past mistakes. She is possibly his soul mate and Max will fight that with every fiber of his being. Max’s temper and indecision with the girls will send in motion events that will cost him dearly. He will test the limits of his powers and the new relationship with his protective uncle. He will gain a powerful love and lose another. a Rafflecopter giveaway Now, HOP on to the other INSANELY awesome blogs for some more great giveaways! OMG I LOVE THIS BOOK! LOVE LOVE LOVE LOVE LOVE IT! I have it on my kindle but want it in paperback too cause I am greedy! thank you for a great give away!!!! My daughter is 16 &would love to read the book. She loves reading & this is right up her alley. Hi, I'm Michele and I'm insanely obsessed with reading. 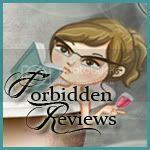 This is a book review blog for mostly Young Adult books, but not limiting adult books. Paranormal, Dystopia, Fiction books are all included. 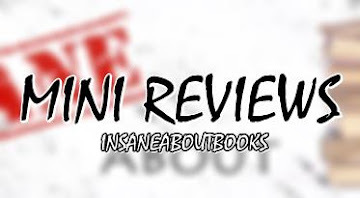 I also review Best selling and independent authors. 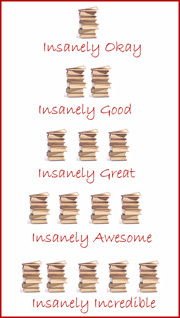 Share book reviews and ratings with Michele(mluker), and even join a book club on Goodreads.